4 х 5 ⭐️ ⭐️ ⭐️ ⭐️ ⭐️, marvellous new pots! 5*x 9 new beautiful creations. Happy new week, Jodi !!! 30. x 5 stars ⭐️ ⭐️ ⭐️ ⭐️ ⭐️, fantastic gallery, Jodi ! 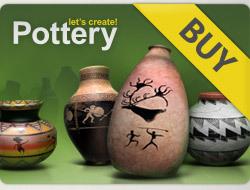 5***** for all your awesome pots !! GOOD LUCK DEAR JODI !! THANK YOU wholeheartedly,dear friend for your kind support !! 5*x 7 new beautiful creations. Happy weekend, Jodi !! !